Come enjoy at day at the Lake! 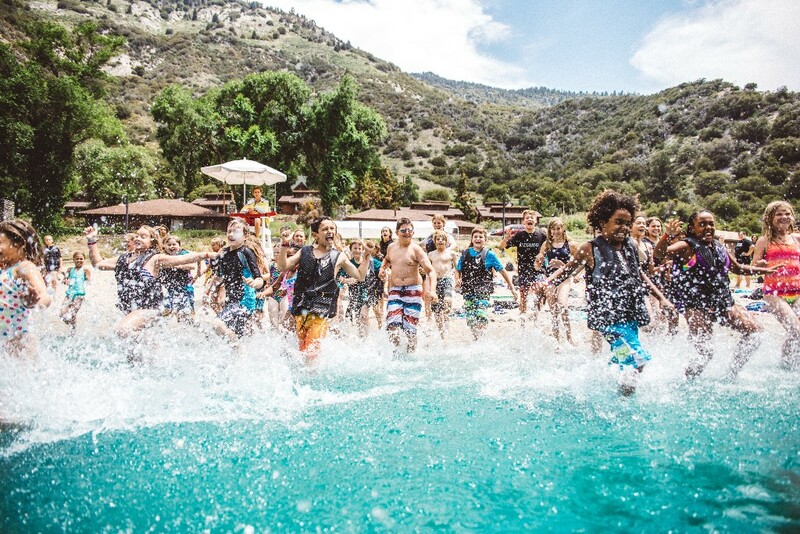 We will be swimming, kayaking, and enjoying fellowship with each other. Bring your own picnic lunches and towels! Mark your calendars, and come be a part of this great time together with our church family. Join us August 19th at 5:00 PM in the Chapel of the Grail for this Summer Showcase of fantastic vocal talent in Redlands! This concert will feature well-loved musical theater favorites such as pieces from Carousel, West Side Story, My Fair Lady, and Chess. We want to showcase the wonderful talent in this community and especially invite you to sing along with us in our secret finale song! Free admission, family friendly. Hope you can join us! 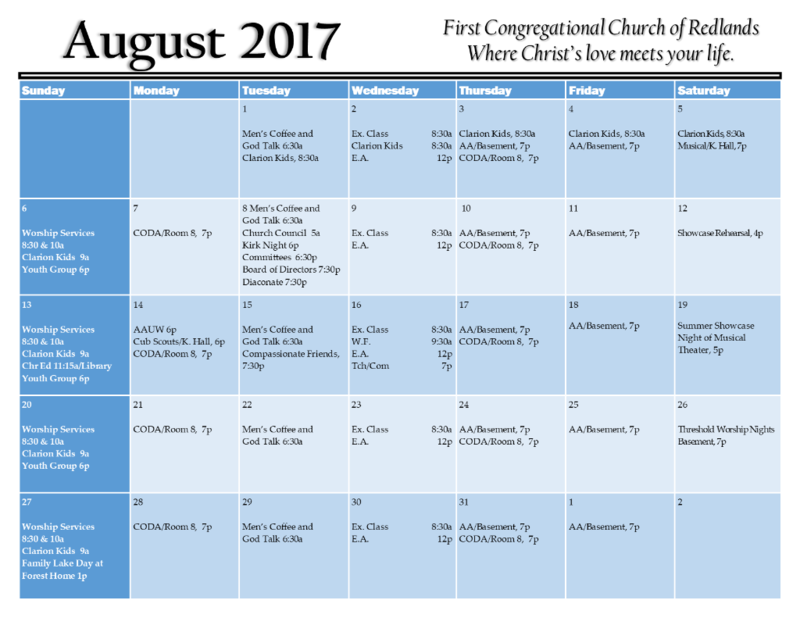 Sermon this Sunday Aug 13th "Embracing Each Relationship as a Gift"
Last Week's Sermon: "What's a Body to Do?" We're looking for ushers to serve in our 8:30a worship; if interested, please contact Mike Henry or call our church office at (909) 793-3157. If you're available during the weekdays, we'd love for you to volunteer with us in the office! Give us a call, or look for Julio during church, for more info.